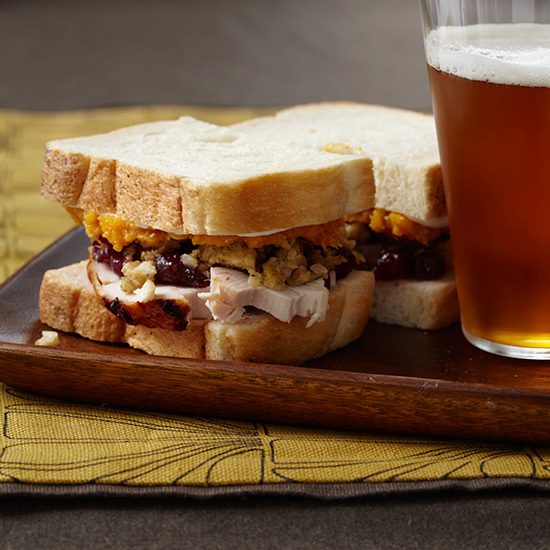 Day-after-Thanksgiving turkey sandwiches seem to get all of the attention—but turkey sandwiches are great any time of year. Bobby Flay’s take on a classic Kentucky hot brown is slathered in cheesy sauce and stacked with thick-cut bacon, tomatoes, roasted turkey and cheddar cheese. He serves these sandwiches open-faced, so you’re definitely going to need a fork. Whether you want to get rid of leftovers or need new lunch ideas, F&W’s guide to turkey sandwiches has a recipe for every occasion. Star chef Bobby Flay smothers an open-face turkey sandwich with cheese sauce and bacon for his version of the over-the-top Louisville classic. 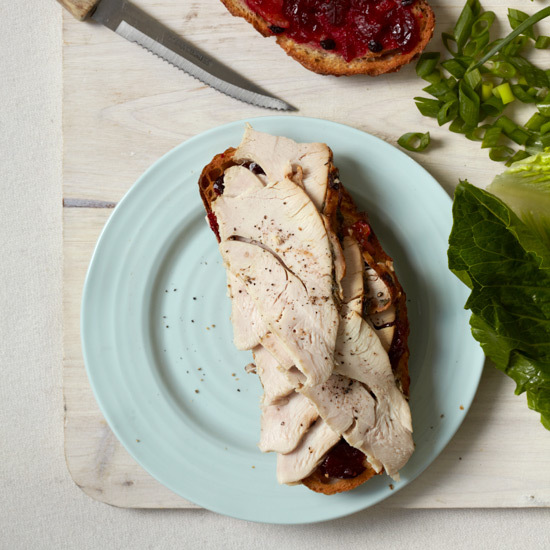 This is a delicious way to use leftover turkey breast, and these open-faced sandwiches are satisfying enough for dinner. 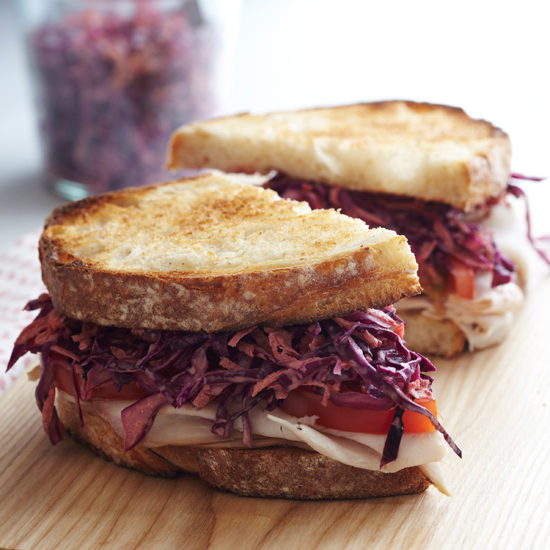 A simple slaw complements deli turkey in this tempting sandwich. Experiment with different breads, such as toasted sourdough, rye or pita. Barbara Lynch of No. 9 Park in Boston piles most of the components of the traditional Thanksgiving meal between two slices of bread. You can use any squash puree; if you only have roasted squash or sweet potatoes, just mash them up. This tangy, sweet cranberry sauce can accompany roast pork, chicken or turkey served on their own or as sandwiches. 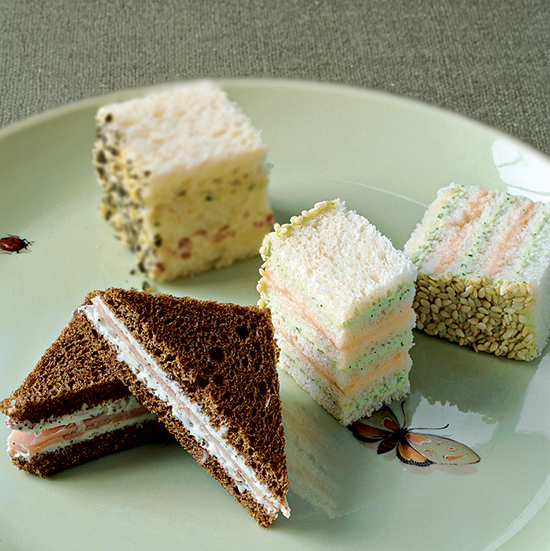 Use a coffee grinder to grind the tea leaves for these easy, delicious tea party sandwiches.